Taormina is a very popular holiday town on a cliff by the sea on the east coast of the island of Sicily, Italy, about halfway between Catania and Messina. 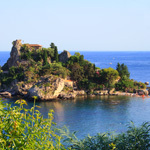 Settled on a hill of the Monte Tauro, Taormina offers visitors a breathtaking, dramatic and memorable view. It dominates two grand sweeping bays below and on the southern side there is Mount Etna, the European highest active volcano often capped with snow. 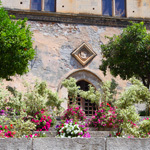 The easiest way to reach Taormina is to fly into Catania International Airport (Italy's third-largest airport by domestic air travel volume), and then take a 90-minute bus to Taormina. On weekdays, buses run in the daytime (6:45am to 7:45pm) every other hour; weekend schedules skip mid day trips. Tickets cost around EUR 7 (one way), and can be bought directly on the bus. Once in Taormina, the bus stops 400 mt (1/4 mi) away from the city center (Porta Messina). Some hotels in Taormina provide (for a fee) a shuttle service from and to the airport to their guests. 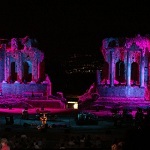 You might also reach Taormina from the airport by car in an hour or so. 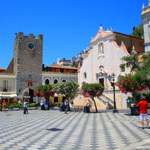 Renting a car, however, is discouraged, as Taormina has severe traffic limitations - only residents are allowed to drive cars in the city center, and parking is limited. Should you nevertheless decide to rent a car, notify the front desk at the conference venue and they will direct you to a nearby unsecured parking lot. Please be advised that space is limited, and will be assigned on a first-come, first-served basis. The cost of a taxi ride varies, with EUR 90 being a rough estimate. Coordinate with other participants if you wish to share a taxi from the airport to the hotel. Cheaper transportation might be possible by sharing car service (e.g., salvotaxi@tao.it). 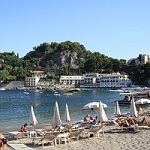 The "Vincenzo Bellini" International Airport is located 65Km from Taormina. The airport offers connections with all the major Italian and European cities, including all the capitals. There is a direct bus linking Catania Airport with Taormina in about 1h 30m. The bus leaves for Taormina every half an hour (ticket price: 6 Euro). The AMT city bus links Catania Airport to the Catania Central Train Station regularly (ticket price: 1.20 Euro). See the “By Train” section for further train instructions. Take the A18/E45 highway towards Messina, continue for 45Km and take the "Taormina" exit, follow the signs to Taormina, park in one of the municipal car parks and then take the shuttle buses into the town. 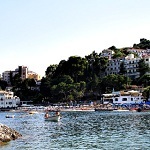 Take the A18/E45 highway towards Catania A18/E45, continue for 37Km and take "Taormina" exit, follow the signs to Taormina, park in one of the municipal car parks and then take the shuttle buses into the town. Take the A19/E90 highway towards Catania A18/E45, continue for 200Km and take "Messina/Paternò/Catania" exit, then take the A18/E45 highway towards Catania A18/E45, continue for 37Km and take "Taormina" exit, follow the signs to Taormina, park in one of the municipal car parks and then take the shuttle buses into the town. The "Giardini Naxos/Taormina" Train station is on the Messina-Catania line with direct and very frequent trains going both ways. The station is connected to Taormina by regular buses (ticket price: 1.50 Euro). Alternatively, a taxi ride to Taormina would take about 10/15 minutes. 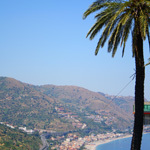 It is also possible to reach Taormina by cableway. 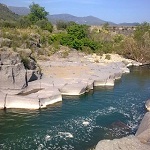 However, a 1 km walk is required to reach the Cable Station from the Train Station. A team of speed-flyers has become the world's first to descend Italy's Mount Etna successfully. 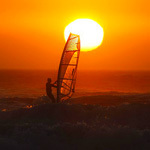 The extreme sport involves a combination of paragliding and skiing at speeds of around 60mph - nearly as fast as a car on a motorway. First the team have to climb Mount Etna, the top of which is 3,329 metres high. Climbing any mountain that high would be tricky enough, but then racing down one of the world's most active volcanoes has even more risks. Mount Etna has already erupted five times in 2012 and no-one knows exactly when it will erupt again. On the day of the team's challenge there were no eruptions, though. After reaching the summit the team set off into their high-speed descent back down to the valley. They celebrated their achievement back at the bottom!